One of the biggest marketing challenges is to capture the attention of your intended audience. We are all bombarded with hundreds of marketing messages every day, and to a great degree, we have learned how to “tune out” messages that don’t interest or aren’t relevant to us. 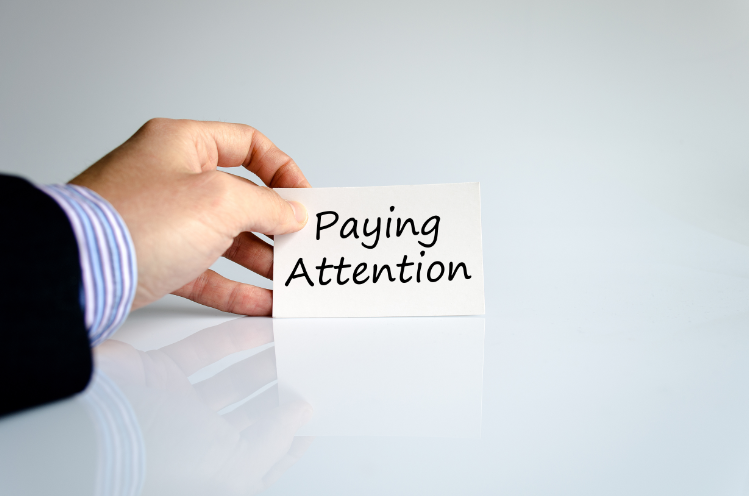 How do you get customers to pay attention to your messages? First, prioritize engagement over impressions. You may get thousands of daily impressions from your billboards, banner ads and emails, but that doesn’t mean that your customers are paying attention. The best way to measure attention is engagement. Second, expand your channels beyond direct mail and email. When it comes to service marketing, in particular, dealers still heavily rely on these two channels to reach their customers. Yes, direct mail and email campaigns are effective and should be used on a regular basis. But a significant percentage of your current and potential customers toss mail in the trash and don’t open your emails. That doesn’t mean they aren’t interested in what you have to offer; it simply means these channels are not effective for reaching these customers. You can’t afford to ignore a large percentage of your customers. The best way to reach them is to market in the moment they are living. Where do they spend their time? Where are their eyeballs? In 2017 nearly 203 million Americans were Facebook users, and 76 percent of those logged in daily. One in four minutes on a mobile device is spent on Facebook, and users spend an average 40 to 50 minutes a day on this platform. Your dealership probably has a Facebook page, but as we know Facebook has made it nearly impossible to reach customers without advertising. But what do you advertise, and whom are you trying to reach? What if you were able to identify all of your customers in your DMS due for their 30,000-mile maintenance and drop service reminders right into their Facebook news feeds? What if you were able to search for all Facebook users within a 10-mile radius that own a Ford Edge? You could post a blog or ad promoting the amazing new features in the 2019 Ford Edge, right into their news feed. What if you could identify which of your customers had purchased tires from an independent tire shop within a certain timeframe? You could drop a tire promotion right into their newsfeed. In case you’re wondering, yes, this is all possible right now. The amount of aggregate data that Facebook gathers from its users is staggering, and with the right marketing platform, dealers can easily leverage this data. Not only does Google hold more than 80 percent of total search engine market share, but 80 percent of all mobile searches start on Google. The real power of Google is that it captures real-time intent, passion and lifestyle from actions taken on Google as well as the rest of the Internet. This information can be used to identify what car shoppers are doing before, during and after they visit your website. What actions are they taking? Where are they spending the most time? You can learn a lot about your audience demographics, including age, gender and interests. Additionally, predictive analytics can tell you which users are most likely to convert, and can identify the most valuable customers for you to engage with via re-marketing campaigns. This information can be used to create highly personalized and relevant display ad campaigns. Thanks to Google’s attribution, you will get better results with a lower overall ad spend. People love video. YouTube reaches 91 percent of the online population in the U.S. and supports a billion hours of viewing time every day. It’s also the second largest search engine, right behind Google. YouTube is also owned by Google, so you can get many of the same benefits from, and accomplish the same objectives on YouTube as you can with Google. The only difference is you do need to create videos, but it’s worth the effort. Because there are millions of videos to choose from, you’ll need to serve up videos that “stop the thumb.” An image of a car or information about a blowout sale are not going to stop the thumb, so you do need to get a little creative. Of course, there are other marketing channels and social media platforms. But none of them can compare to Facebook, Google and YouTube when it comes to measuring where people spend their time. It’s time to expand service marketing beyond direct mail and email. To capture your customers’ attention, market in the moment they are living.